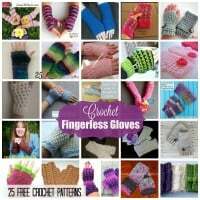 Fingerless gloves are awesome for keeping your hands and wrists warm while typing at the computer. 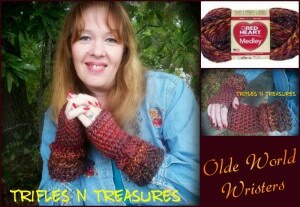 They are also perfect for wearing underneath a pair of winter gloves for extra warmth. 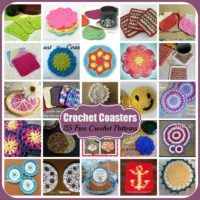 And depending on how you hold your hook and yarn, you might even be able to crochet with them too! 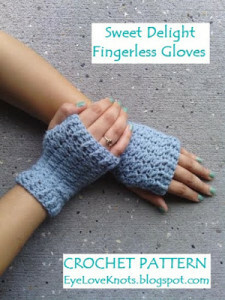 Furthermore, fingerless gloves add a nice touch to just about any outfit you own. Thus, they are perfect for church, weddings and other special occasions. 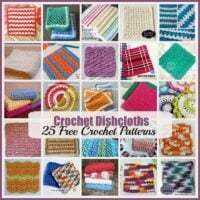 So without further ado, I hope you’ll enjoy this roundup of free crochet patterns. 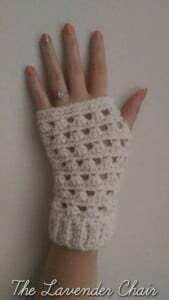 These gloves are cozy and stylish. 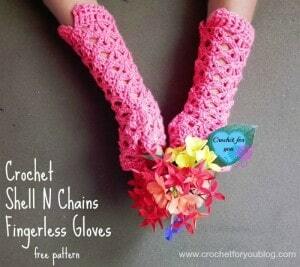 Plus the chunky yarn helps to crochet them up quick. 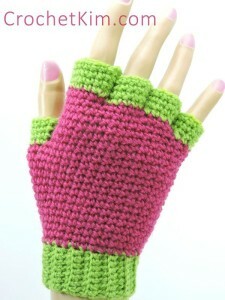 These gloves are available in two sizes for a small and medium. 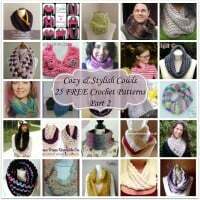 They feature a lovely stitch pattern to please everyone. 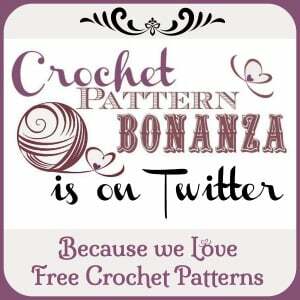 I love the pretty texture created by the lovely stitch pattern. And the pattern works up quick. 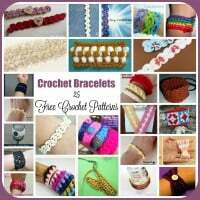 Crochet these with or without the pretty buttoned band. Plus, the pattern is given in two women’s sizes. These fancy gloves have summer and fancy weddings written all over them. But that’s not to say that you can’t wear them in the winter as well as they’ll add a nice layer of warmth. 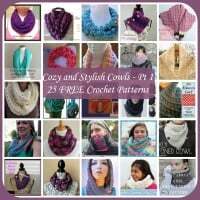 The pattern is available in one size only, but comes with notes to help you crochet them in larger sizes as well. 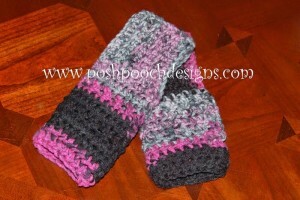 These gloves feature a lovely texture that will compliment any winter outfit. And they make for a lovely gift idea too! Be a rock star in these pretty striped gloves. 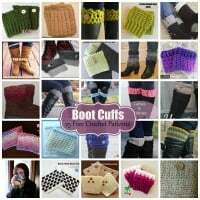 The pattern is available in four sizes from child to adult. 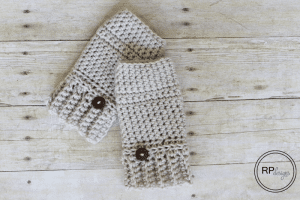 These gloves are given in one size only, but the stitch pattern is so simple that you can crochet them to any size that you want. 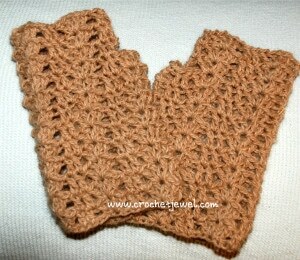 These gloves are crocheted in a simple stitch over the hand, then branch out into a lovely chevron lace over the wrists. It’s totally brilliant! The pattern here is for the women’s size. However, on the pattern page you’ll find a link to a men’s size as well. 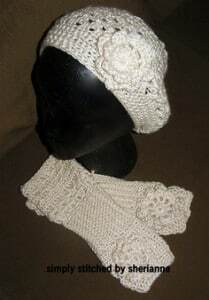 Check out the gorgeous lace in these gloves. they are perfect for Weddings, church and other occasions. Plus, the pattern also includes a hat to match. If you love shells, then you will love these. The pretty lace will look great in any colors. 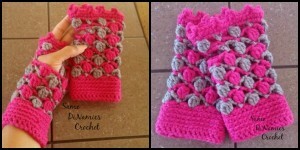 Plus, the pattern comes with a video tutorial to help you out. 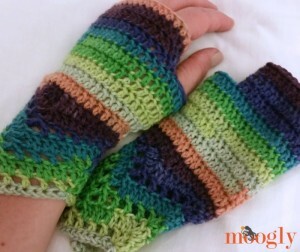 These adorable mitts are available in three sizes for toddler, children and teens/small adults. I love the gorgeous textured edge on these. 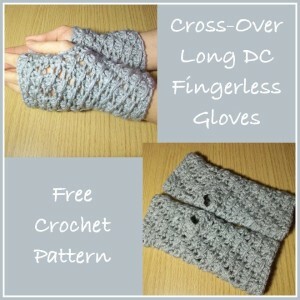 They are elegant and cozy, and perfect for everyday wear; or for fancy occasions. 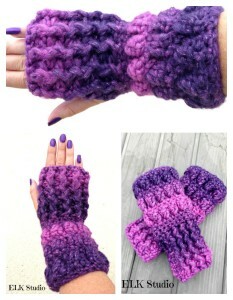 These gloves are not only super stylish, but they’re easy enough for a crochet beginner to master! Plus, they’re available in two sizes and are great for the men and women. 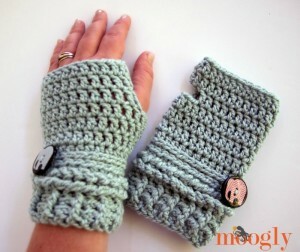 These fingerless gloves are quick and easy to crochet. The pattern is given in one size, but offers a solution for a smaller or larger size. 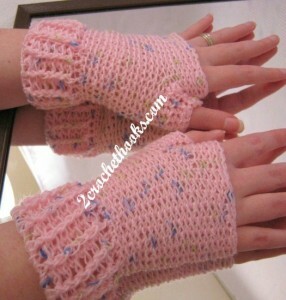 The lovely stitch pattern makes these ideal for weddings or church. These are gorgeous with the ribbings along the edge. The pattern is designed to fit the average woman. The pattern is available in one size only, but it provides instructions on how to adjust the size. 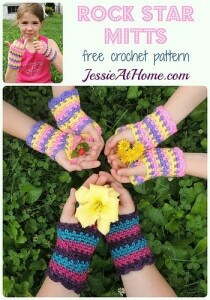 Plus, the pattern comes with a left and right handed video tutorial. 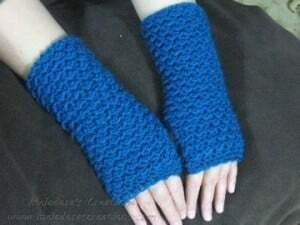 These fingerless look like they are knit! 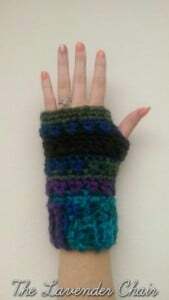 However, they are crocheted in a normal crochet stitch, but it’s all in where you insert the hook. They are not only gorgeous, but super cozy as well. 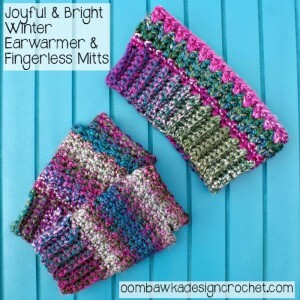 This pattern is for the fingerless mitts only, but you’ll also find the link at the bottom for the earwarmer to match. It’s a great set to keep you warm in the winter. 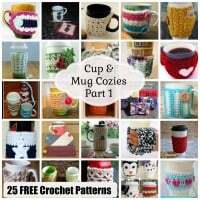 If you love the cross stitch, then you will enjoy crocheting these. 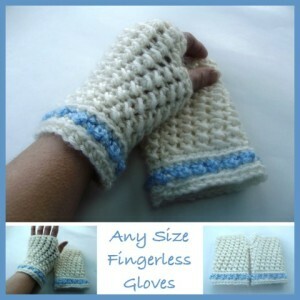 They are available in three sizes, making it easy for everyone to crochet one in their size. 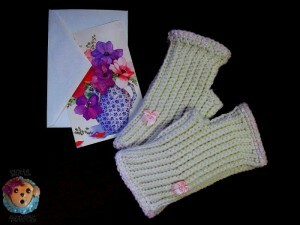 These gloves are simple to crochet and also come with a stylish scarf to match. 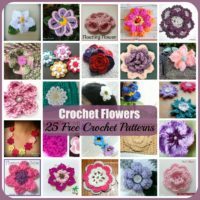 This pattern is easy and suitable for anyone who’s mastered the very basics of crochet. These gloves are available in one size only. However, pattern instructs to experiment with a thicker yarn and larger hook if a larger size is desired. So that’s it for now. 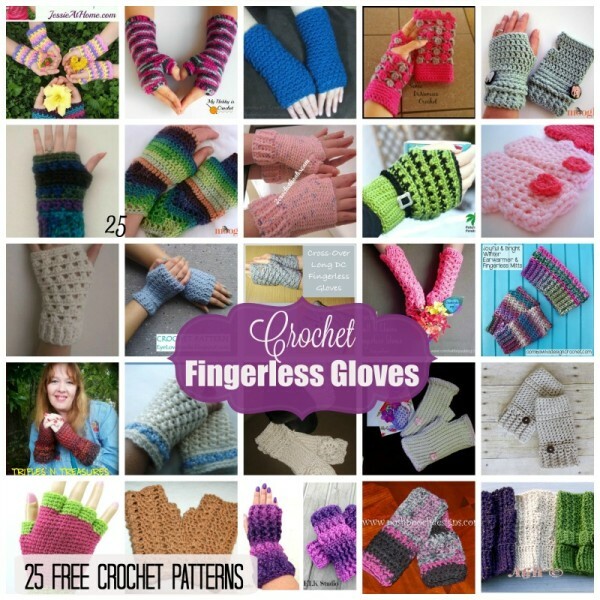 But if you head over to CPB, you’ll find lots of FREE Fingerless Gloves Crochet Patterns. Hope to see you there!